Home » Blog » A sad moment! 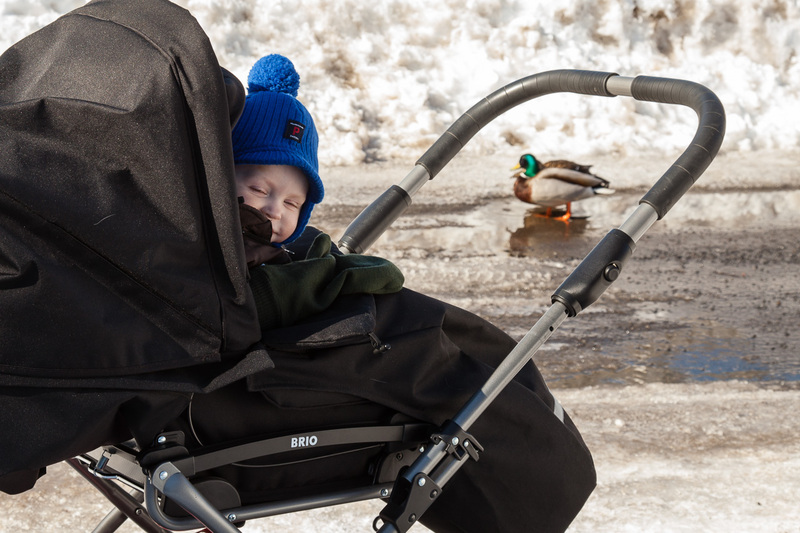 This afternoon I went for a walk with my one year old son. 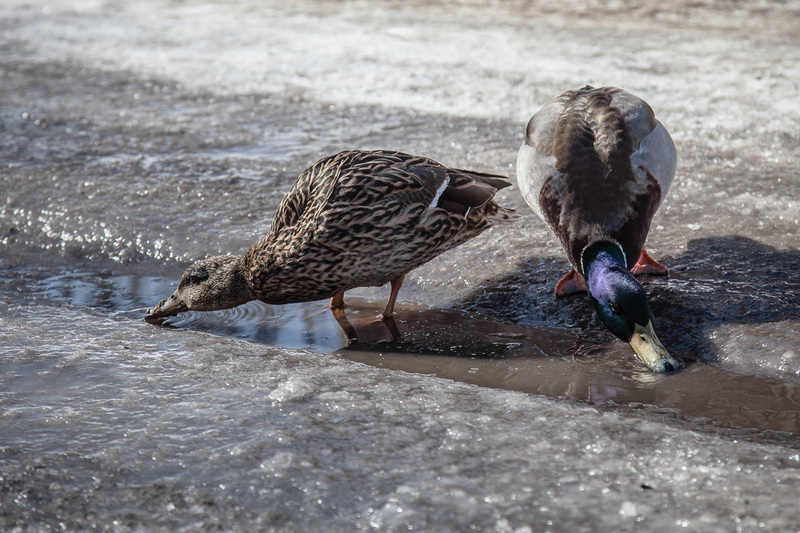 About 10 feet from our driveway, a Mallard couple was enjoying the meltwater from a late but approaching spring. Mallards are often almost tame in city environments and there was no problem watching them from a few feet away. Very fascinating, or so my son thought. We live at the corner of a street and not to seldom a careless driver rounds the corner way to fast. I have installed a gate to prevent my kids from running out in the street, but during winter It’s removed since snow would block it. Today I got a stark reminder of why I installed it. When we got back after about two hours, this had happened. There was no doubt what had killed it. 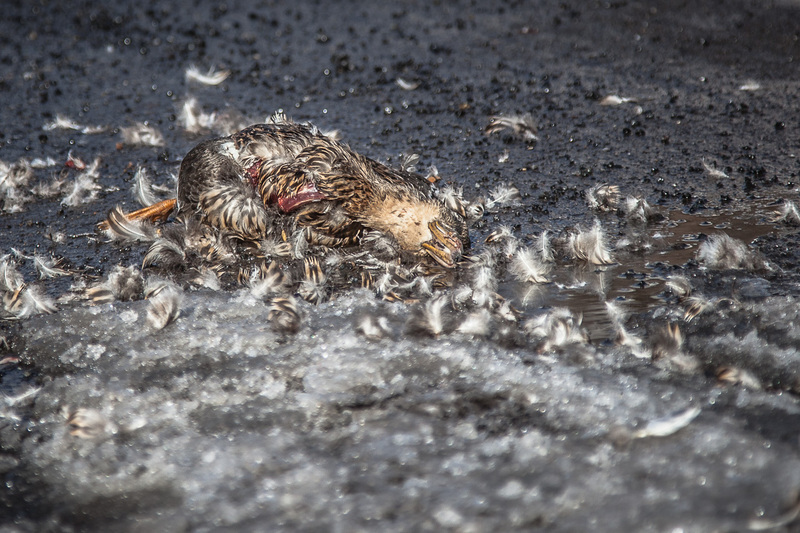 Crows had begun cleaning up, but the injuries spoke clearly of a car being the culprit. Any one that manages to hit a duck 50 feet from a crossing, in a densely populated area, is driving to fast. I’t makes me both sad and scared. What if it was one of my sons, who frequently goes out in to the street, to splash in the water puddles, despite the thousands of times I’ve told them not to. Scary!